It has been a tough year for Wells Fargo, with a number of different public relations challenges having engulfed the bank. 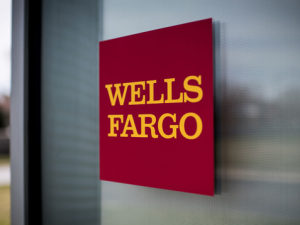 Perhaps the most serious, and likewise that which continues to reappear in the public discourse on a frequency that would dismay the bank's leadership involves a class action lawsuit against the bank for fraudulent accounts setup by Wells Fargo staff. Just last month the bank announced that there were potentially a further 1.4 million such accounts that had more recently been discovered. 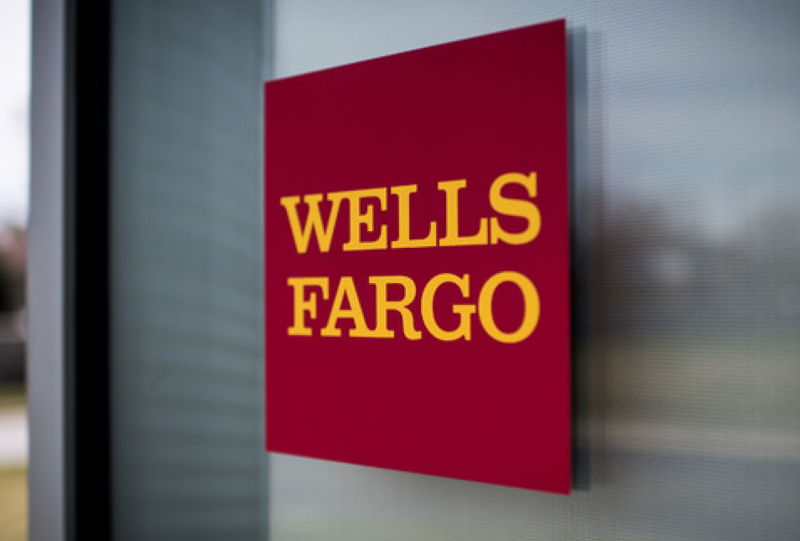 The issue which first came to light last-year involved Wells Fargo staff allegedly, fraudulently opening bank accounts in the name of individuals who had not requested such accounts or in many instances even been aware that such an account existed in their name. Actions that have since cost the bank over $185 million in fines from US regulators. To find out more, go to www.WFSettlement.com or call 1-866-431-8549. You may be eligible for reimbursement of fees, compensation for potential impact on your credit, and an additional cash payment based on any money remaining in the fund after benefits and costs are paid out. 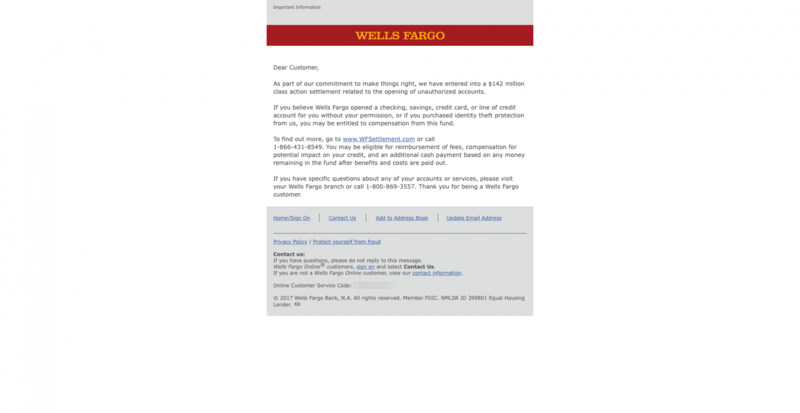 The email is otherwise seemingly circumspect, and in that way devoid of information regarding the banks products, services of even the types of significant links to contact information that tend to permeate its other correspondence. For those wishing to See More, you can access a full copy of the email below.